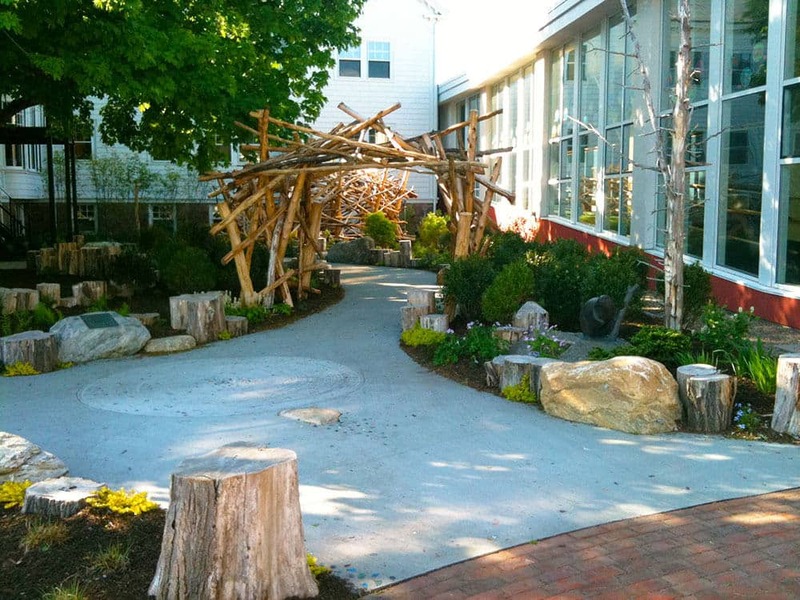 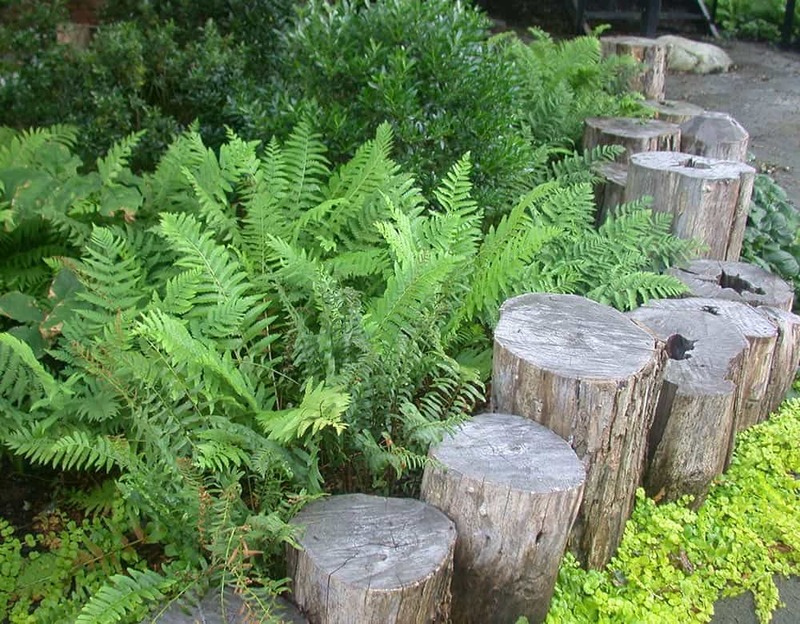 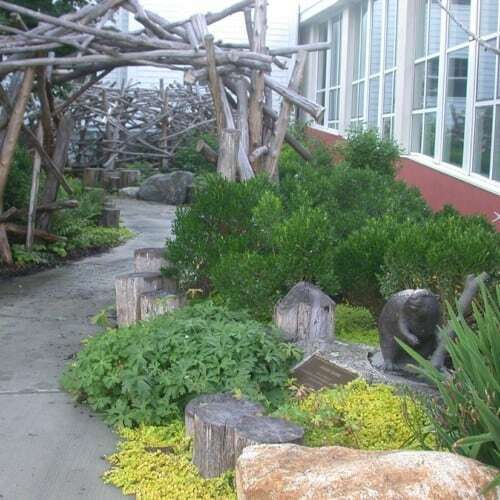 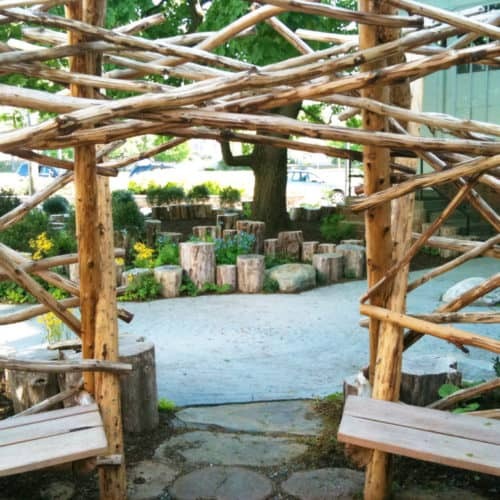 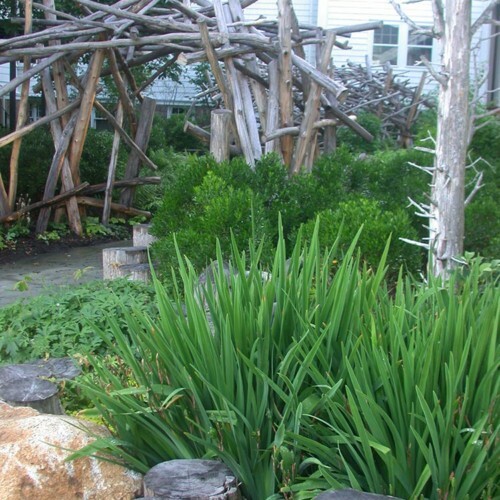 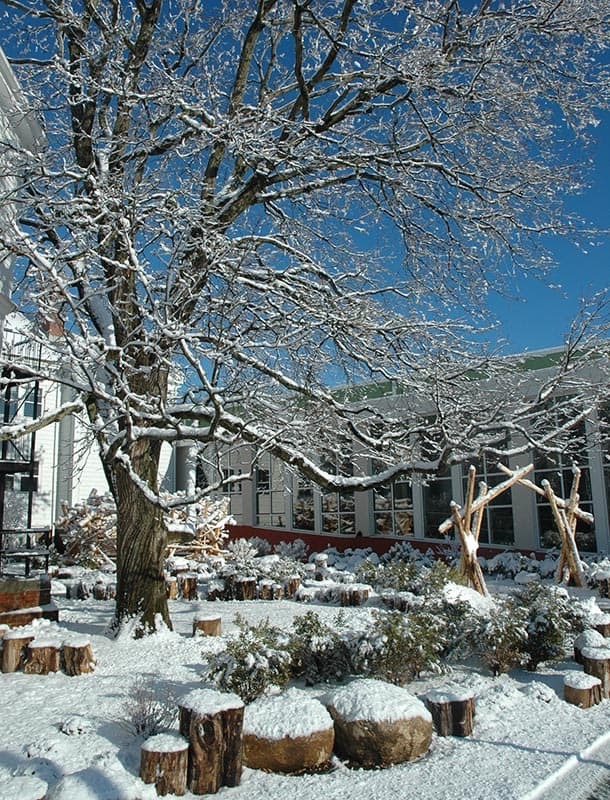 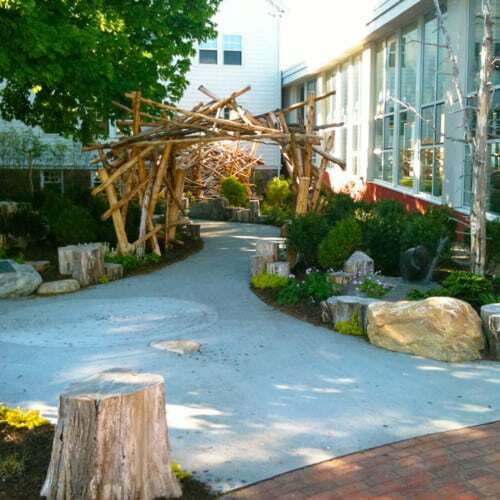 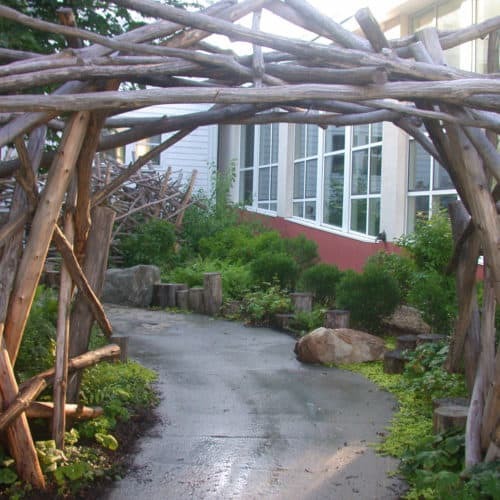 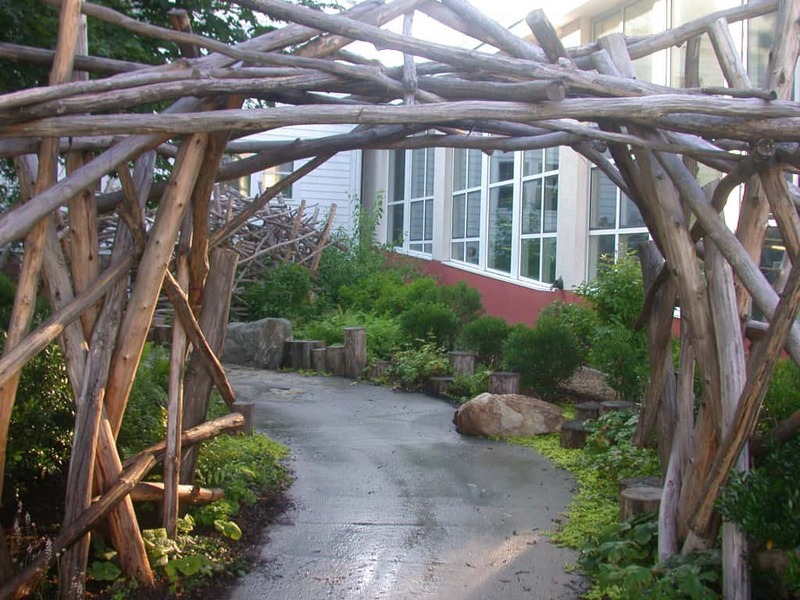 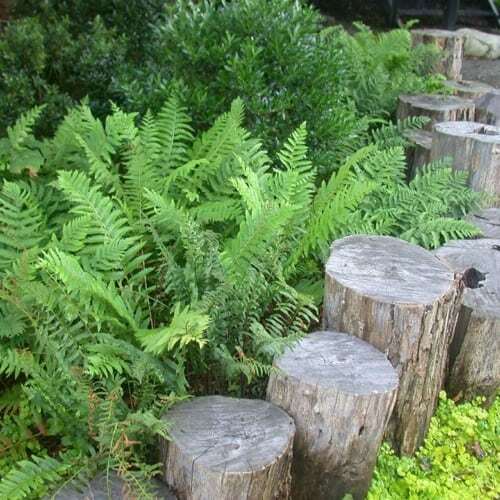 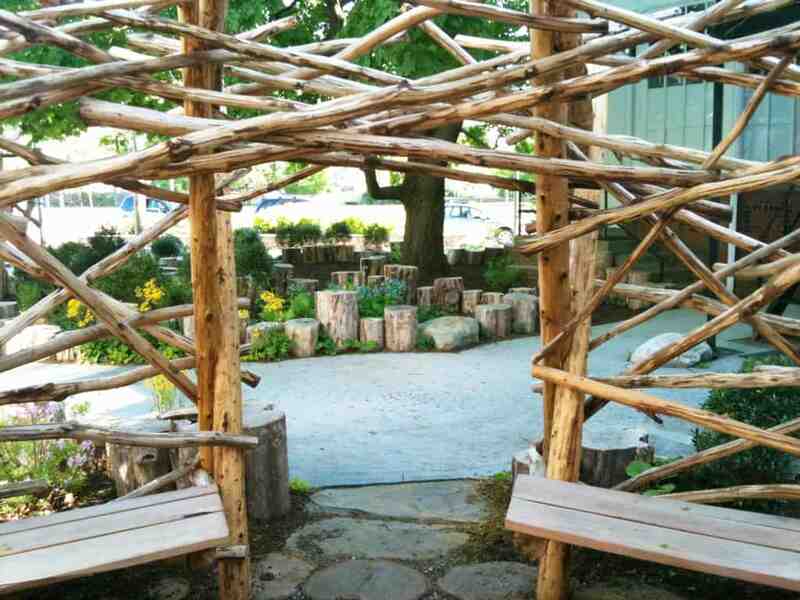 JMMDS designed the Inspiration Garden for Shore Country Day School in Beverly, MA, to honor the memory of several young graduates who passed away. 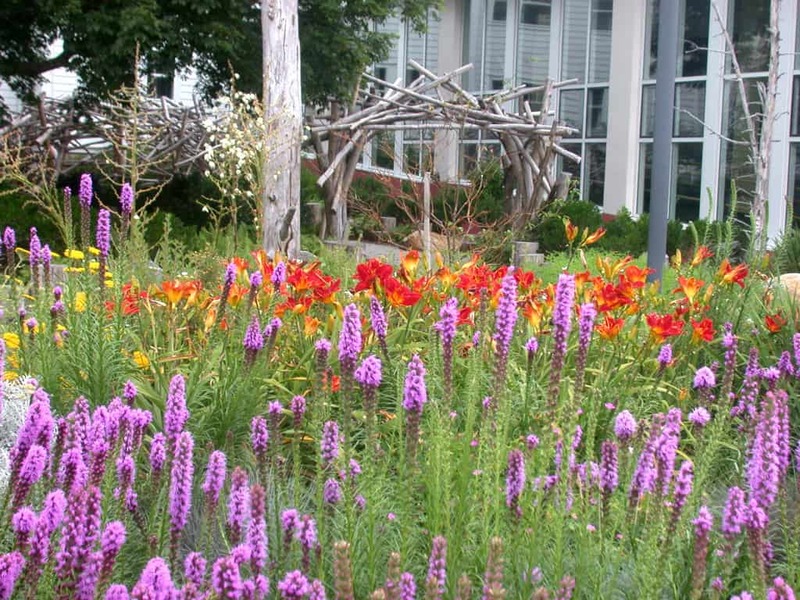 This quarter-acre garden is a contemplative setting in the middle of a busy campus. 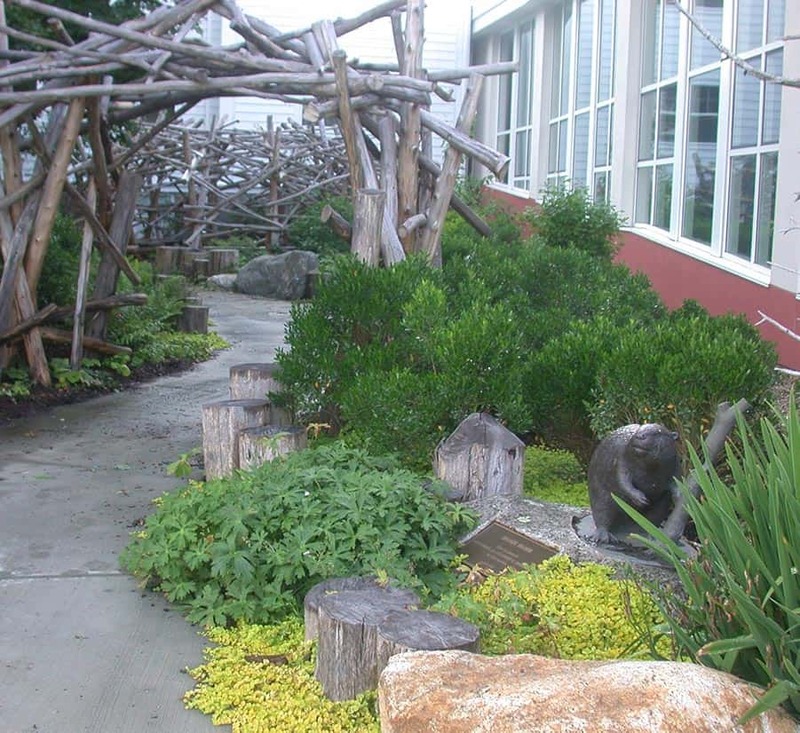 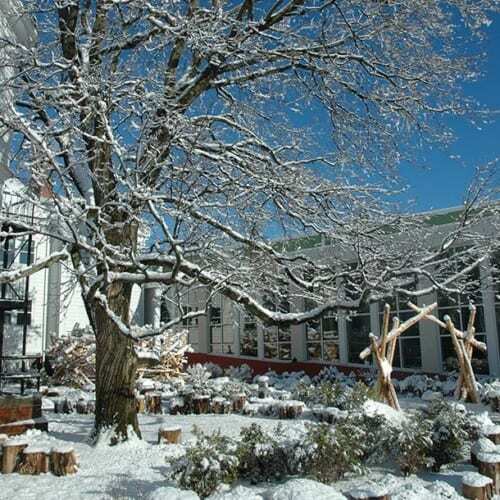 Inspired by the school’s mascot, the landscape was designed as a miniature beaver meadow, complete with beaver waterway, dam, lodge, tunnel, and wet meadow plantings. 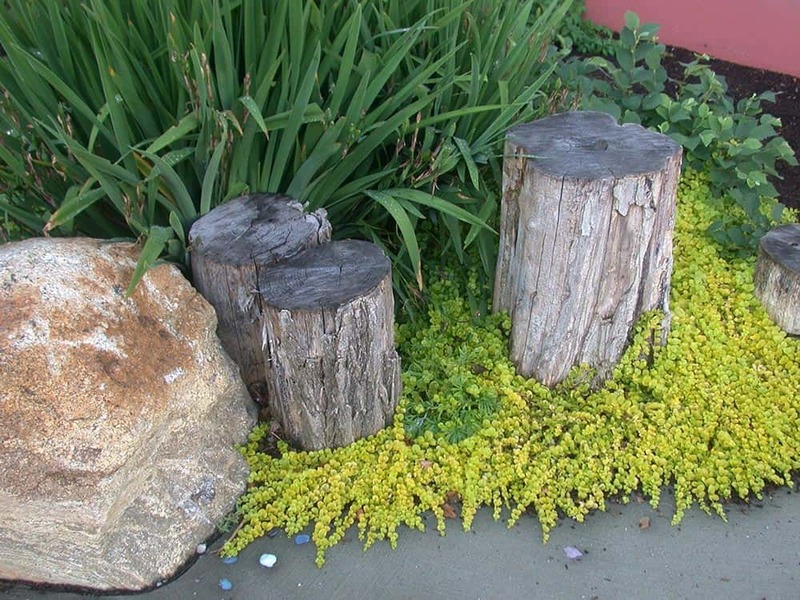 A concrete path mimics a swirling river, and "gnawed" stumps suggest that busy beavers have been at work. 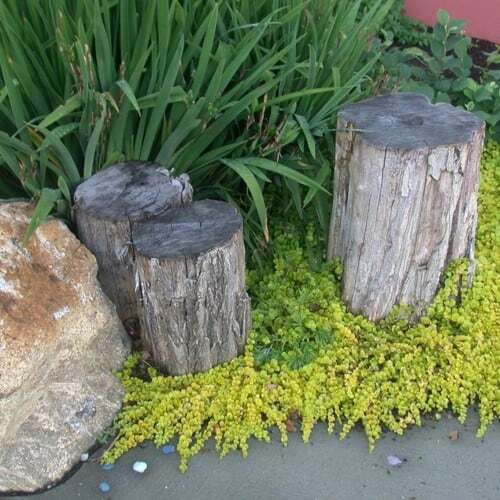 They are also fun to step and jump on! 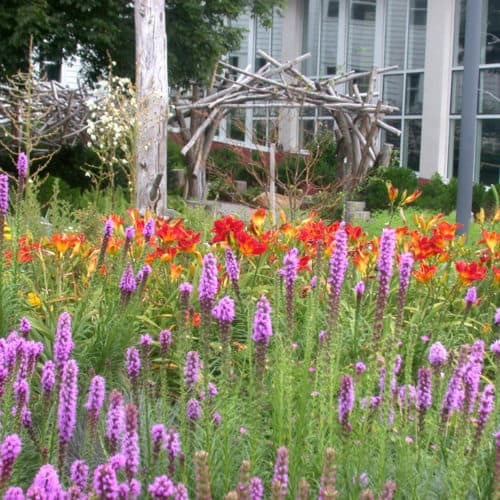 In the native "wildflower meadow," red daylilies, yellow yarrow, and purple blazing star create a symphony of color. 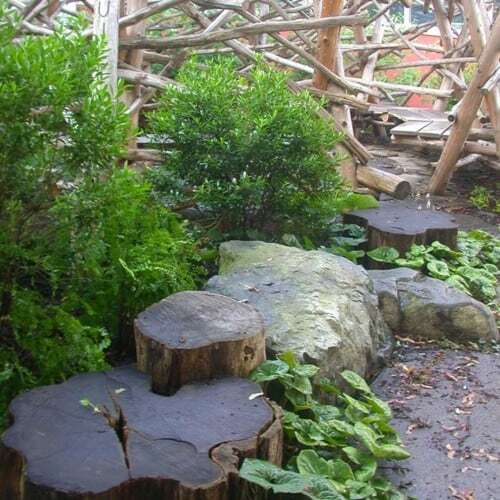 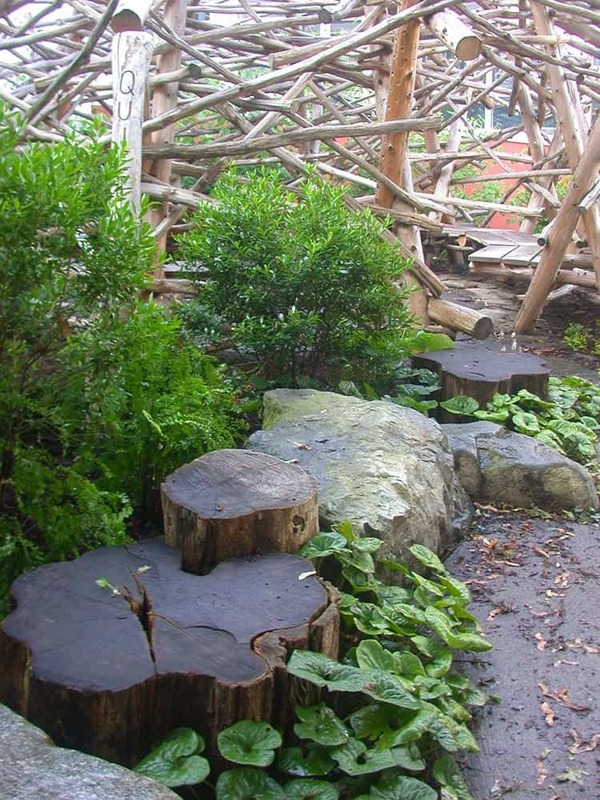 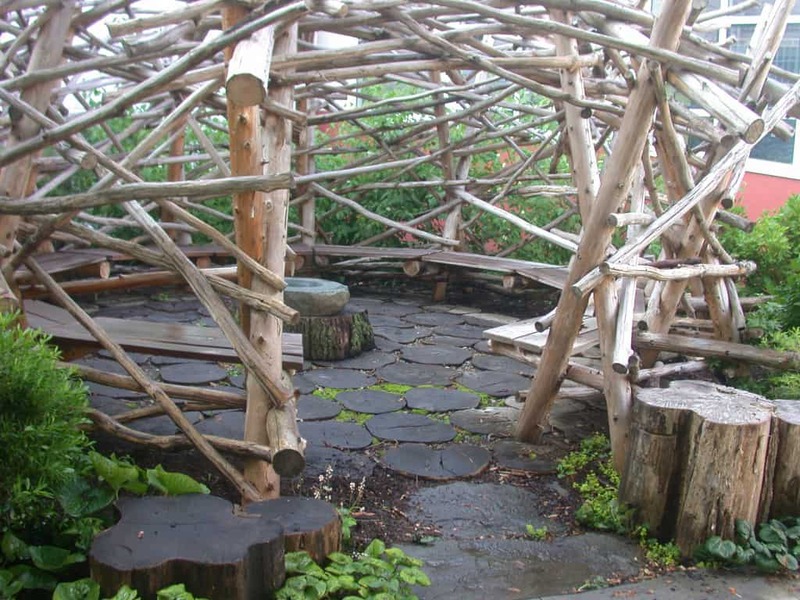 The "beaver lodge" serves as gathering space, outdoor classroom, and contemplative seating area. 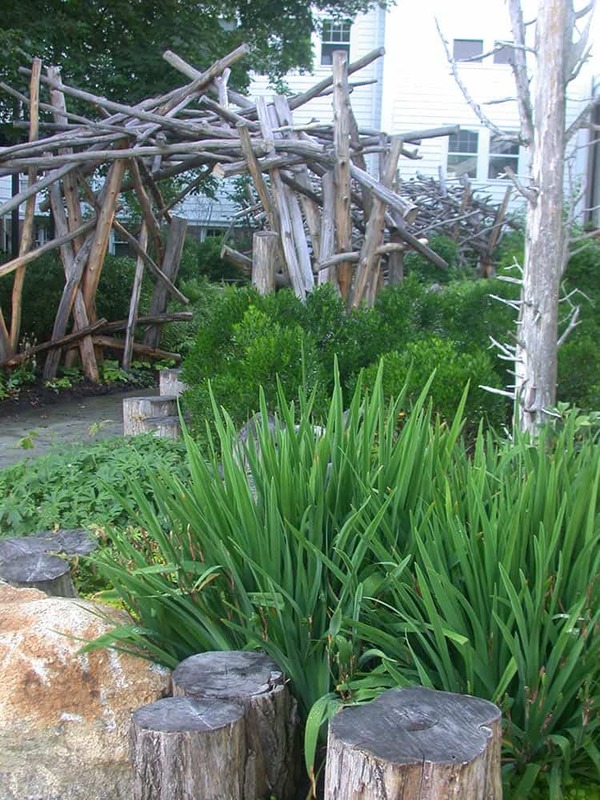 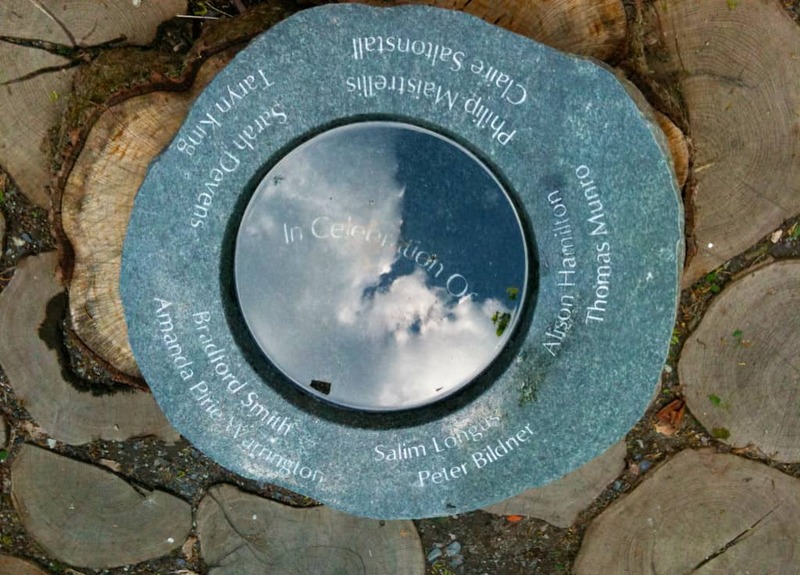 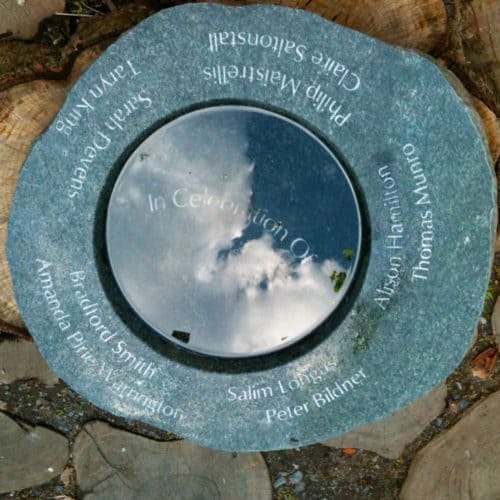 A stone basin at the center of the lodge reflects the changing sky and celebrates the lives of the garden's young honorees. 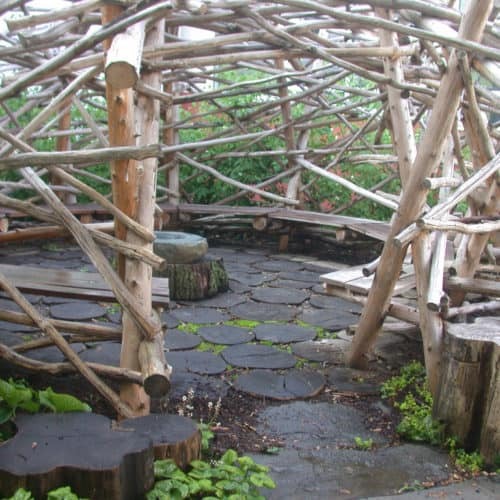 View from inside the "beaver lodge" looking out at the garden.